I’ve been living a double life for the past three years. As part of Al Jazeera’s elaborate infiltration of the United States‘ gun lobby, I assumed the role of a gun advocate, pretending to campaign for a repeal of Australia’s rigid, gun control laws, and pretending that I wanted more firearms in the hands of Australian citizens. That is why I chose to take part in this undercover investigation. My involvement in the project began in 2015 when I received a call from Peter Charley, the executive producer of Al Jazeera’s Investigative Unit in Washington, DC. He explained that his team were investigating the US gun lobby and its attempts to manage the messaging on whether more guns lead to more deaths. His team had gathered enough evidence of deliberate deception, and were now considering staging an undercover operation. Charley then got to the point. His idea was to create a pro-gun group in Australia that would, in theory, appeal to the NRA. He asked if I would be interested in posing as that group’s founder and president in order to infiltrate the NRA? And, if so, would I be comfortable wearing hidden cameras on frequent visits to the US to cultivate ties with the NRA, and to record my conversations with them? It was an interesting idea. I’d never worn a hidden camera or claimed to love guns. In fact, I’d only fired a gun a few times on a friend’s farm. I didn’t know a Glock from Luger and I’d never seen an assault rifle. That didn’t matter, Charley said. He was looking for someone with the ability to “work a room” and knowledge of people, business and finance. I would be trained thoroughly in the journalistic requirements, as well as the handling of guns. In preparation for my assignment, Al Jazeera flew me to London, where I was taught how to phrase questions and how to conduct myself as an undercover journalist. I was schooled by a concealed camera expert in the use of tiny cameras – undetectable to the human eye. And they brought me to the US and put me through gun safety courses and arms training. My new life as a “gun enthusiast” had begun. All I had to do now was convince the NRA that I was somebody I was not. The plan Charley had devised was simple. Playing on the NRA’s open contempt of Australia’s strict firearms laws, he created a group called Gun Rights Australia which claimed it was pushing for a repeal of the legislation. My job was to use this as a front to endear myself to NRA officials and climb as high as I could within the organisation, recording conversations with them on subjects such as how they respond to a massacre, how they pressure members of the US Congress, and how they manipulate the media. I took my first steps as a man with a double life at the 2016 NRA convention in Louisville, Kentucky. Camera operators and producers from Al Jazeera’s Investigative Unit travelled with me from Washington, DC, to Louisville, and helped position the pinhead-sized camera lenses for my very first encounters with NRA officials. I was a little nervous at first, but soon relaxed into my new role. As I made my way further into the gun lobby, I began to understand the depth of some US citizens’ passion for their cherished “Second Amendment” – the right to keep and bear arms. Those around me at the NRA convention wore hats, T-shirts and badges, declaring their undying love for the “God-given right” to carry a weapon. It became very clear to me that, if I wanted to sound believable, I had to espouse those same passions. That was not easy. I am genuinely proud of Australia’s gun control laws, and to rail against “snowflakes” and “gun grabbers” seemed like a betrayal of my friends and family back home, who I believe are safe because of such tough laws. Many of them were astonished at my newfound passion for firearms. I brushed most queries off saying, “It’s a scary world out there. I’ve realised that guns can keep us all safe – so I’m campaigning for more guns here”. But not everyone was happy with such explanations. On more than one occasion, strangers who had seen the Gun Rights Australia website confronted me on the street and berated me for trying to drag Australia’s gun laws in the direction of those in the US. But at the NRA convention in Louisville, my claims to want Australia’s laws repealed made people smile at me, shake my hand and slap me on the back. At the end of each day’s filming, Peter and his team would huddle in a hotel room to review the videos I’d secretly filmed. Sometimes, one of my cameras had pointed too high and all I had filmed was the ceiling. Over time, I learned how to capture the sort of footage Al Jazeera required. 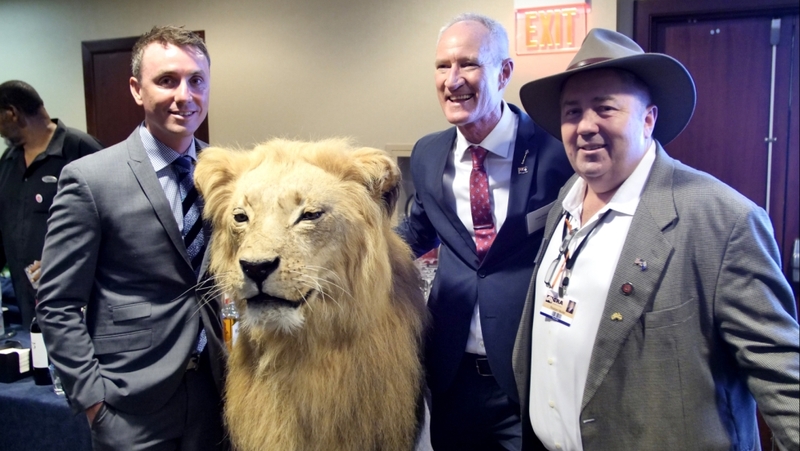 Over three years, I travelled from Australia to the US numerous times to build connections with the pro-gun community. Some encounters were amusing, others utterly bizarre. At one gathering, an albino python was released onto a lawn and a tiger paced in a cage for the amusement of cocktail-sipping guests. There, I spoke to Donald Trump Jr, the son of the US president and an outspoken gun rights advocate. Wayne LaPierre, the NRA chief, applauded as my presence was announced by an MC. At another event, I fired shotguns at clay pigeons beside US congressmen, and posed for a photograph with Chris Cox, a chief lobbyist for the NRA. Bit by bit, I was gathering video, collecting conversations, and living a life I never thought possible. 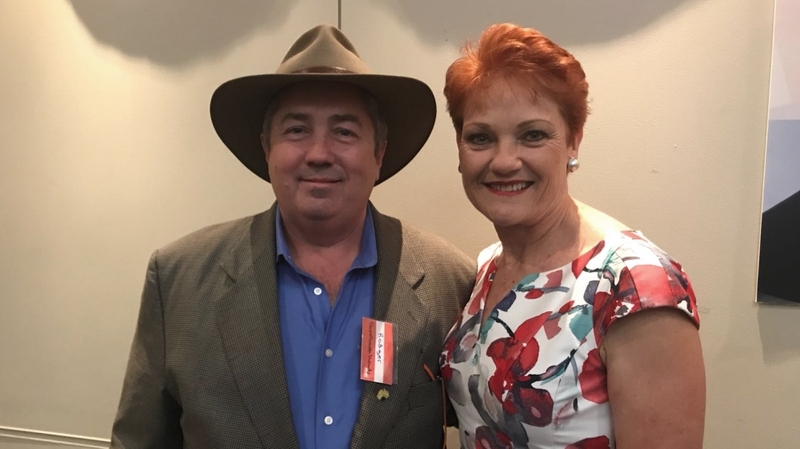 Then Charley asked me to contact Pauline Hanson’s One Nation – a far-right pro-gun Australian political party. Charley wanted me to find out if any connections existed between One Nation and the US gun lobby. And so began another chapter in my life as an avid “gunner”. I was there, ready to meet them. And our hidden cameras were all primed and ready to go.